According to Leslie Sargent Eskildsen, an Orange County Realtor, the process of buying or selling a home commonly produces stress in all parties. 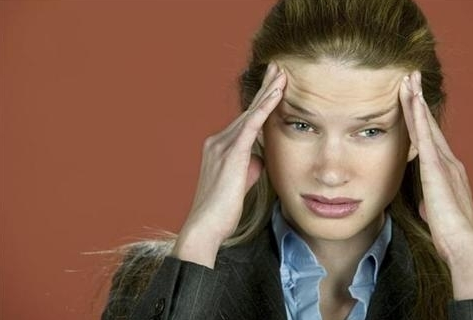 She has compiled her own list of the five biggest stress points for each. The buyers’ contingency removal period. This is the 17 days the buyers hold you hostage while they contemplate whether or not they are still interested in buying your house. Now, that sounds a little harsh, but the truth is the sellers really have their hands tied during this whole period. The home inspection. You don’t want to be there when the guy with a tool belt and a ladder shows up at your door. Just go to a movie, get a mani-pedi, or stay at work. And then don’t even read the inspection report. It will just infuriate you. It only matters when the buyers submit a request for repairs. The request for repairs. This is the list of things the buyers aren’t so happy with and are asking you to repair. On your time and with your money. The most stressful part about this process is wondering if you refuse to do even one of their requests, will they back out? The termite report. You’ve never seen any termites. But they might be up there in the attic chewing away at your house’s infrastructure. And what if you need to do that tent thing? Waiting to see the proceeds of the sale deposited into your bank account. Or hitting return every seven seconds to see if your bank balance has been boosted. Many sellers resort to nail biting. Gathering up all the pieces of personal financial information. Seriously, these people are relentless. The wanted it to get your pre-approval, they want it updated to the nanosecond now that you’re in escrow, and they may want it again right before they agree to fund your loan. Removing contingencies in writing. The doing of which puts your deposit in the hands of the seller if you back out. This is serious stuff. Will you move forward without a safety net? Because if you don’t, the seller has the right to cancel. Signing your loan documents. The sweat usually breaks out when you sit down with the escrow officer, who has a stack of paperwork about three inches high, four pens, a notary stamp, a fingerprint ink pad and asks if you’d like some water before you get started. Water? Isn’t that what they offer prisoners? Waiting for the keys. You’ve got moving vans scheduled, carpet installation scheduled, vacation from work scheduled. Now all you need are the keys. The ticking of the second hand on your analog clock app on your smart phone gets louder and louder every second that tics by and your Realtor hasn’t called to arrange to give you the keys. And when it gets past 5 p.m. and your carpet guy can’t be reached just in case you have to reschedule because you don’t have the keys, the tic is even louder. Maybe a twitch breaks out. The top five ecrow stress points for Realtors. Most of those stress points above seem to revolve around the mortgage. That may be true for some buyers, but instead of taking Xanax, you should try using Bill Rayman to handle all your mortgage issues. He and his staff at http://GuaranteedRate.com/BillRayman are trained to move you quickly and seamlessly through the entire process. Bill's reviews and testimonials almost universally speak about how professional and stress-free the mortgage can be when handled by experienced professionals who are there to serve you, not the bank.